The former Catholic priest who became infamously known as “Monsignor Meth” in Hartford, Connecticut because he used to run a meth distribution ring may have to return to prison after failing a drug test anew. 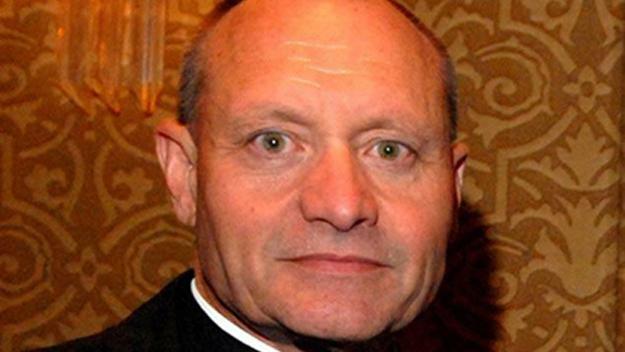 Court documents reveal that former Bridgeport Diocese Monsignor Kevin Wallin recently underwent drug tests at the facility where he’s been receiving treatment. The tests yielded positive results for an amphetamine. Wallin was sentenced to 65 months in federal prison. He has, however, entered into a supervised release program almost two years ago, sometime in November 2016. He already had failed drug tests before but was given another chance to shape up and reform by being asked to undergo and complete drug treatment programs. Having failed a new drug test again will mean more trouble for the former priest. Probation officer Jose Vargas for one is asking the court to suspend Wallin’s supervised released. As it is, Wallin has already gotten lucky earlier this year when in April Judge Alfred V. Covello decided not to send him back to prison despite failing six drug tests while on supervised release, and against the recommendation of the probation officer, Jorge Vargas, and Assistant U.S. Attorney Patrick Caruso. Wallin even agreed then that if he fails another drug test he will automatically go back to prison for nine months with no further hearings. It is not clear now whether this will hold true. Caruso argued back in April that Wallin has been given several breaks already by the probation department, “which has gone above and beyond” for him. As it is, Wallin is scheduled to appear before a judge next week. His lawyer has yet to comment on the latest development for the troubled former Monsignor.